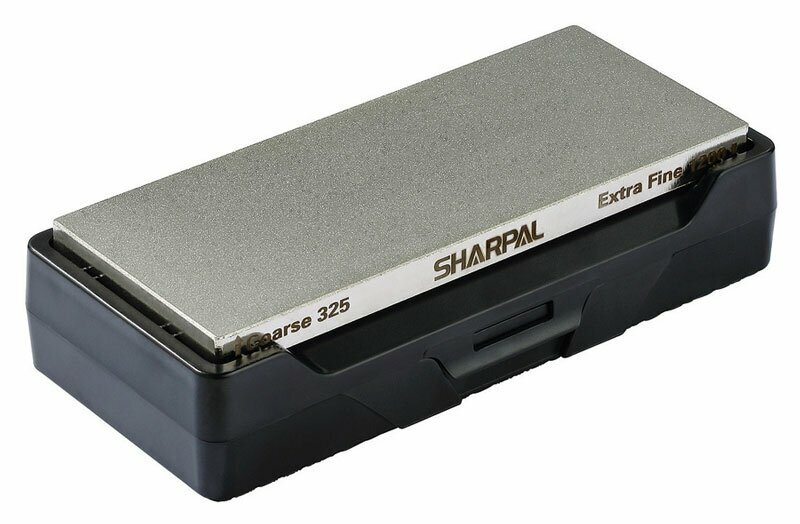 Diamond knife Dual-Grit Diamond Whetstone 325-1200 Sharpal(SHP156N) Knife accessories, sharpeners, sharpening stones. Diamond knife sharpener double sided 325-1200. Excellent sharpening performance. Double sided diamond design as 325 grit for coarse sharpen & 1200 grit for extra fine honing. MirrorFlat technology guarantees even contact with knives and tools. Includes storage box with non-slip rubber pad that can be used as a stone base while sharpening. Angle Pyramid sharpening angle guide(14, 17, 20, 25 angles).